A familiar sight to many of you who own, what I’ll argue to be, one of the top 10 recorded pop albums of all time. 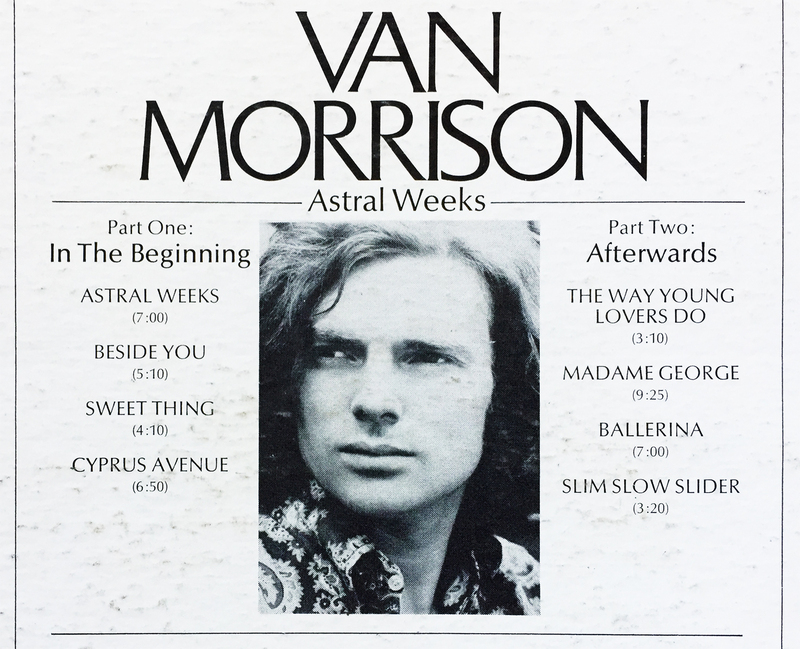 Van Morrison’s 1968 Astral Weeks is a timeless, immortal collection of eight tracks broken into two parts: In the Beginning (side A) and Afterwards (Side B). Though Astral Weeks is technically Mr. Morrison’s second studio record, it is, without question, his first, and best album.